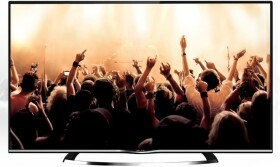 Enjoy ultra high definition on this 106 cm LED TV from Micromax. It comes with 4K resolution, an Android Jelly Bean operating system, wireless smart control and a smart remote with voice control to take your movie experience to a whole new level. 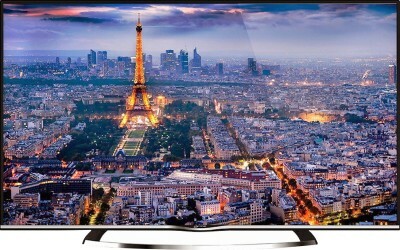 This television produces 4K resolution, which is 3840 x 2160 pixels, to give you brighter and sharper picture quality. 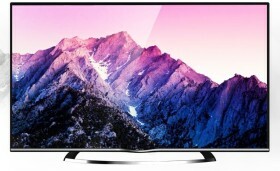 It has a 178 degree viewing angle which lets you watch the TV from anywhere in the room. 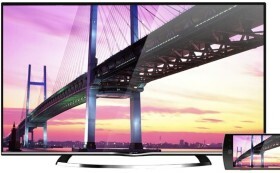 Enter the world of Android entertainment with this Ultra high definition television. It comes with an Android Jelly Bean 4.2 operating system which gives you a smarter entertainment experience with its smooth and easy-to-use TV interface. It even comes with pre-loaded games which will give you hours of non-stop entertainment. You can now project media, share videos, music, photos and data from your smartphone through the TV's screen casting feature. It even allows you to use your smartphone as a virtual keypad for faster swiping and typing. 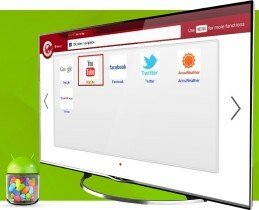 You can use your television to mirror your smartphone's screen to enjoy movies, music and TV shows on a large screen. This television comes with box speakers which give you heavier bass sounds and a 5 band equalizer which lets you use custom sound settings that suit your mood. It even has noise reduction and an SRS sound system technology which gives you more depth and clarity. You can make your television a Wi-Fi hotspot by connecting it to the internet via a LAN cable. It has 3 USB ports; 2 USB 2.0 ports and 1 USB 3.0 port, allowing you to play media content from a USB device directly. This Micromax ultra high definition television comes with a Dual Core CPU and Dual Core GPU which gives you lag-free processing and enhanced visuals. It is equipped with a 2 GB DDR3 RAM which gives you seamless entertainment and connectivity. 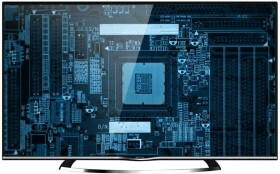 This TV has an in-built memory of 2.2 GB which can be expanded up to 32 GB. The Micromax 42" UHD television has a smart remote with voice control which lets you access the net, play videos or listen to music. 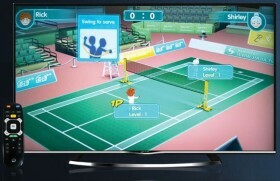 It acts as a mouse as you can select items on your TV by using the remote's buttons to drag the pointer across the screen. It even has a G-sensor to give you extra zing while playing games.